Single-chamber sputtering systems provide a cost-attractive solution for vacuum coating tasks in the small batch production. 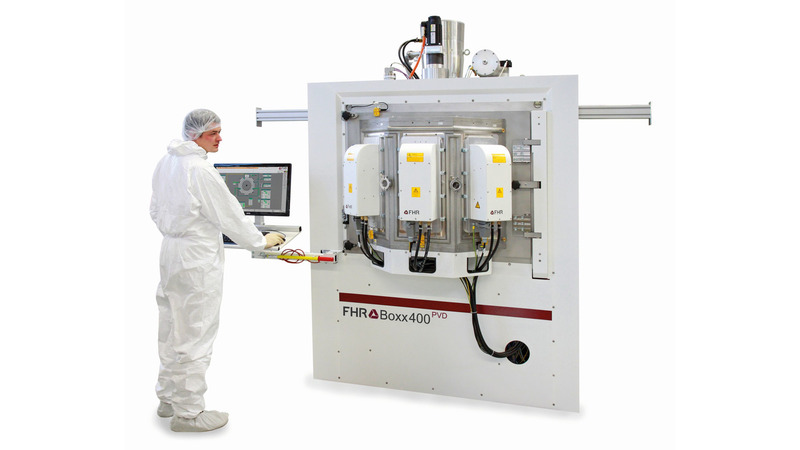 Sputtering tools from our FHR.Boxx product series, alternatively called as boxcoaters, are not equipped with a load lock chamber, instead the substrate placement will be performed directly into the process chamber. As substrate carrier in the vacuum recipient acts a rotating drum, which can be used optionally for heating and cooling of the mostly small sized substrates. Induced by drum rotation during the vacuum process the substrates to be coated are able to pass different sputtering sections. Overall, a fine homogeneity of layer thickness can be achieved. Also a substrate pre-treatment by means of plasma etching for instance is available.